This year’s edition showcased J-10B’s exceptional maneuverability, usually associated with Russia’s Su-30, Su-35 and the American F-22, with its thrust vectoring W-10 engines. 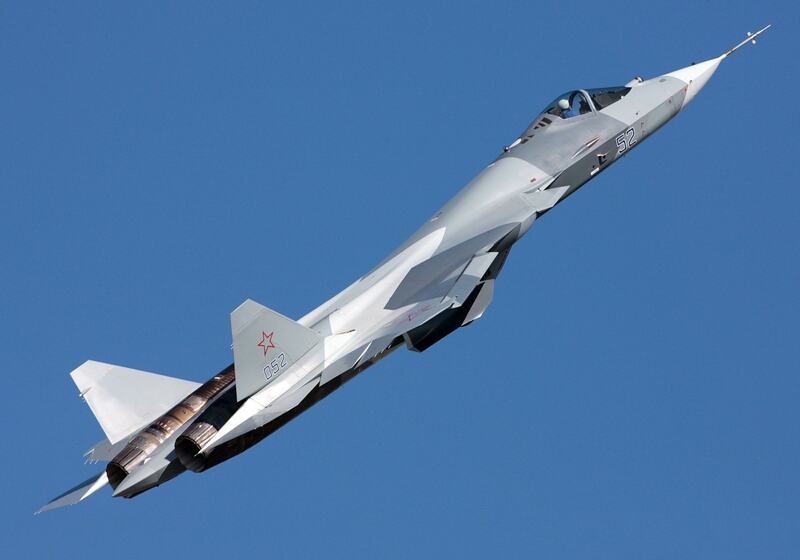 In addition, China’s 5th generation fighter J-20 made a significant demonstration. Other notable displays were China’s air freighter Y-20, and JF-17. The most notable presence was an array of UAVs and UCAVs, along with various sensors and weapon systems. The show clearly demonstrated that China has leapfrogged significantly in its aerospace capabilities. The rapid development of China’s aerospace capability has been the result of a series of reforms and restructuring, during the last three decades, of its research and development (R&D) institutions and manufacturing infrastructures, infusion of competitive processes, revamping technical education and skill development along international standards, and focused policy implementation by the government enabling joint ventures with foreign original equipment manufacturers (OEMs) and universities like the MIT. There is a lot that India could learn from China’s success story. There has been considerable improvement in India’s policies with respect to energizing its defence and aerospace industries. However, there is still a lot more that needs to be done in areas of R&D, manufacturing, project management and accountability, attracting foreign direct investment (FDI) and creating high-tech joint ventures both in manufacturing and in technical education and research. More importantly, India needs to break into the export supply chain. This is easier said than done. Under ‘Make in India’ a series of reforms have been instituted such as ‘Make I’ and ‘Make II’ policies, strategic partnership models, and encouraging micro, small and medium enterprises (MSMEs) to play a significant role in innovation and in the manufacturing sectors. However, the results have been painfully slow if not non-existent in many sectors. The reasons are not difficult to fathom. Development of aerospace capabilities needs significant investments in infrastructure, R&D, and human resources. Since India had restricted defence aerospace industries to the public sector for nearly 50 years, almost all of the infrastructure in the country is government built. The private sector, whose entry was cleared in the early 2000s, has been very slow to enter in this highly capital intensive sector. Quite logically, the private sector has looked for firm orders to initiate any investment, while the user, the defence forces, looks for credibility and reliability in the form of existing capability and capacity before placing orders. This has been an endless puzzle so far. The net result has been that India’s aircraft development has been slow, long-drawn-out, and limited to one product focus. This has an adverse impact on the Indian Air Force (IAF) and its force structure. While the IAF and the country aspire to have much of its force structure being of indigenous design and manufacture, the reality is that it continues to be dependent on imports for much of its operational capability. A vibrant fighter aircraft industry and projects are the hallmark of a major and a rising power. China exemplifies this dictum. China, in the last 25 years, has developed its aerospace capability by leaps and bounds through multiple projects. The aerospace capability is a geostrategic driver for aspiring great powers like India and China. Ever since the beginning of the space age in 1957, and further fusion of aviation, space, computers, and communications, aerospace now represents the international geostrategic high ground. Design, development, and manufacture of fighter aircraft and aero-engines signals the ultimate core competency of a nation at the international high table of technological capability. These two integrate capabilities in multiple domains and result in tremendous spin-offs into various civilian applications. Aerospace is critical to national security and overall national technological development. India’s current fighter aircraft program revolves around the Light Combat Aircraft – Tejas, which has been in the works for nearly 35 years. This is an excessively long period. The first Tejas squadron of the IAF is yet to be complete, and the Final Operational Clearance (FOC) of the aircraft is still more than a year away. The IAF continues to grapple with multiple varieties of imported fighter aircraft to meet its operational necessities. The Tejas fits in only at the low end of the spectrum. Having spent nearly four decades in Tejas development, the national leadership needs to accelerate the development of major platforms that the Indian Air Force and the Indian Navy requires within the next two decades. This will call for some serious restructuring of India’s aerospace infrastructure. It is also equally important to develop larger derivatives of the Tejas, including a twin-engined version, based on technologies that have already been mastered in the current program. Tejas – Mk 1A and Mk 2 are just the starting point, but we need to move faster to larger and operationally viable platforms. Aircraft manufacturing in the country is located only with Hindustan Aeronautics Limited (HAL). This includes design and development capability as well. There are small pockets of light aircraft design and development or manufacture that existed in National Aerospace Laboratory (NAL), and in the private sector like TAAL and Mahindra. But these are too limited to being of any consequence. In spite of the government clearing the entry of private sector into aircraft manufacture, the progress has been too slow. Whatever progress, that has been made, has been through the process of offset implementation, which is a good development, but it is too slow and remains peripheral. The private sector, even if it is willing to invest, it has to contend with the challenges of developing aerospace competence and skill levels which is a decades-long process. The alternative is for the government to carry out a smart restructuring of its public sector that is HAL, through the infusion of capital and competitive reorientation. HAL has multiple divisions dealing with all aspects of aerospace design and manufacturing. It is often accused of being grossly inefficient. This may be an unfair accusation as much of the blame must go to the government for saddling it with politics and irrelevant policies. The unwieldy structure of HAL contributes further to its inefficiency. Besides, HAL’s design competence that was built assiduously through its HF-24 and Kiran aircraft programs, has been seriously depleted in the Tejas program. Many of its designers and engineers were taken away to create the ADA, which managed the Tejas development. HAL has major divisions at Bangalore, Nasik, Koraput, Lucknow, Hyderabad, Kanpur, and Korwa. Each division can be an independent industry in its own right. However, for aircraft manufacture, we could consider just Bangalore and Nasik. HAL Bangalore has completed its only fighter aircraft manufacture, the Jaguar, almost a decade ago. It now produces the Tejas. Besides, its main activities cover MRO, helicopters, and Engines. Effectively, its fighter aircraft program is limited to the Tejas and its derivatives. Similarly, Nasik division which produces the Su-30 MKI will have completed its production run and will be without any orders from 2020. Its main business will be limited to maintenance, repairs and overhaul (MRO). Both Bangalore and Nasik could be converted into vibrant and competitive aircraft manufacturing centres for India. This can be done through intelligent restructuring and private sector involvement. Firstly, both HAL Bangalore and HAL Nasik have to be made as independent entities. Aerospace Development Agency (ADA) could be merged with HAL Bangalore to complete and strengthen its design, development, and manufacturing capabilities. While Nasik has huge manufacturing infrastructure, its design and development capability will have to be strengthened and enlarged. The private sector could be invited to invest in a major way to transform both centres as efficient public-private partnership models. Quite logically the entities must be corporatized on private corporate models bringing in business viability, accountability, and efficiency. The government can even reduce its holdings to a minimum, but retain strategic control and golden veto. The above solution would enable the private sector to achieve competence rapidly, bring the requisite efficiency, and create two major centres of fighter aircraft design, development, and manufacture. Both centres will generate clusters of smaller industries around them, thus developing a vibrant ecosystem. There is an urgency of developing different aircraft programs to create self-sufficiency, and export markets with a twenty-year time horizon. The development of Tejas derivatives, Medium Combat Aircraft (MCA) and Advanced Medium Combat Aircraft (AMCA) could be vested with Bangalore. Similarly, the development of Super Su-30 and the Fifth Generation Fighter Aircraft (FGFA) could be vested with Nasik. Additionally, if the IAF goes in for the 110 aircraft MMRCA-2 procurement, this could be undertaken at Nasik. India has made the mistake of getting stuck with a single aircraft program for nearly four decades. It is time now for it to bring in radical restructuring to make effective private sector participation and JV with foreign OEMs to catapult multiple aircraft programs that are practical, doable, and rapidly achievable. In this context aircraft programs such as Tejas Mk 1A, 2, MCA, AMCA, Super-30, and FGFA/MMRCA-2 are very much feasible if the government brings in radical reforms and accountability. Air Marshal M Matheswaran is an IAF Veteran and the former Deputy Chief of Integrated Staff. He is Chairman and President of TPF –“The Peninsula Foundation” – at Chennai.